Moms are so special, and although we should be celebrating our moms every single day, here are a few Denver ideas on how to make this week and weekend special for your Mama Mia! What Mom doesn’t love flowers? Luckily we have some amazingly talented florists in the Denver area. One of my personal favorites is Ladybird Poppy. I called Sarah Tedford and told her my price range and asked her to come up with something special for my mom. She was so accommodating, asking what her favorite color was, if she has a favorite flower, and what exactly I was going for. Of course I just left the creativity up to her because I have never seen an arrangement of hers I didn’t love. 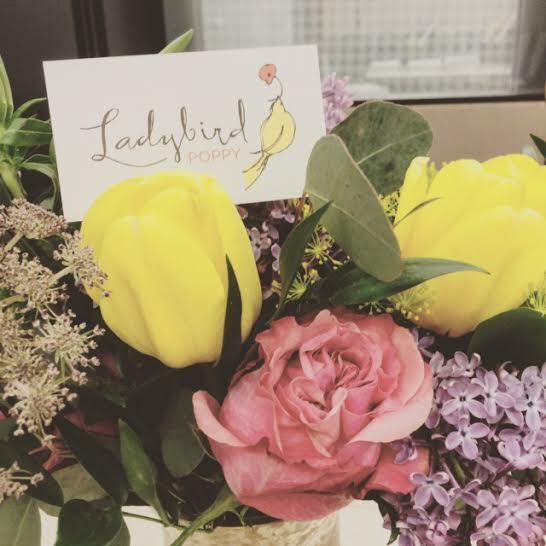 She has also teamed up with Dabble Denver to teach a mother daughter floral class this Saturday. You can click here to register. If you want to really say I love you with a bang, you can order through Flower Bombers who will drop a bouquet for your mom in the middle of brunch if you like. Delivery like that will surely leave her surprised. Many moms are also known for their fabulous culinary skills. If your mom loves to spend time in the kitchen trying new recipes, she will probably LOVE these fancy flavored salts to season her dishes with. 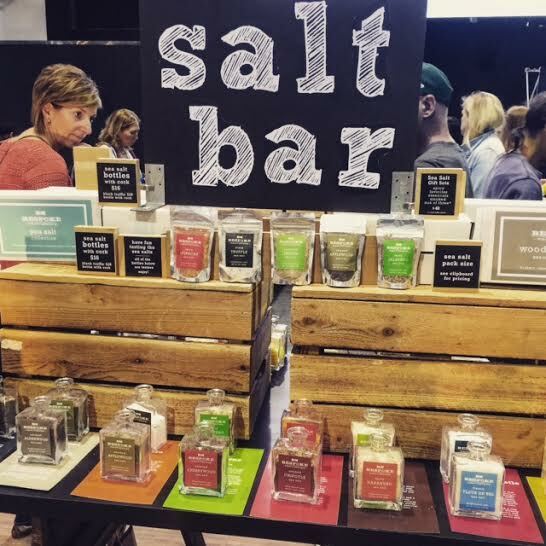 I ran into Bespoke Provisions at the recent Denver Flea, and man was I in salt heaven. A little goes a long way and their flavors are diverse; they have anything from sriracha salt to black truffle. They also sell aromatic candles and an array of crackers. Until the owner makes her way through Denver again, you may have to order these little jars online. Let’s not forget dessert. The best thing about any holiday is an excuse to indulge. Feed that sweet tooth at Denver’s long time favorite, Mulberries Cake Shop. They have beautiful cakes made to order, and a few ready to go. 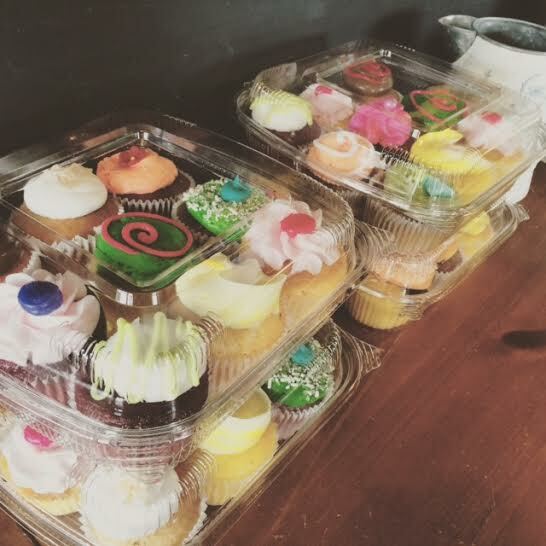 If you can’t decide on just one flavor, mix & match a dozen cupcakes from behind the counter… or grab a box of with an array of samples. Once you walk in, you are sure not to leave empty handed… it smells so delightful in here! Just a few blocks away you can also pick up a card and any whimsical gift from Tallula Jones. They offer everything from candles to clothing, cards, notepads, and fancy knick knacks. They even have cute little succulents the size of your thumb. A local Denver gift shop that is sure to end your search for the perfect little present. Take Mom for a wine tasting at Wild Women Wine on Saturday night. You can get some tasters, customize your own wine label, and listen to some live music during happy hour by John Austin from 6:30-9:30pm. Attend a Makin-Mimosas event at Upstairs Circus! Every Saturday and Sunday you can drink bottomless mimosas, make new friends, and do crafts! They now have locations in both the Tech Center and Lodo! Have tea, scones and finger sandwiches at New World Cheese ‘s Mother’s Day Tea Brunch. Impress your Mother by showing her what great manners you still have, and remind her what a great job she did raising you. Pinkies up! You can purchase tickets to this lovely chanoyu here. Opt for a spa day. Many spas around Denver are running specials for the weekend, but Velvet Day Spa is offering packages for an extra sweet price. Purchasing a Mother’s Day package here is actually a gift that keeps on giving; redeemable whenever your mom decides to pamper herself.